At the University of Arkansas for Medical Sciences Psychiatric Research Institute’s Child Diagnostic Unit, a primary goal is to truly understand your child’s symptoms and the impact this has on your child and your family. Our mission is to provide child and family centered care that is collaborative, compassionate, and trauma sensitive, that assists us in establishing clarification of diagnoses and development of appropriate treatment planning for your child. To accomplish this, we use an interdisciplinary approach that relies on specialists in child psychiatry, psychology, social work, occupational therapy, speech and language, education, and nursing to assess and treat your children ages 2 to 12 years old with a variety of diagnoses. 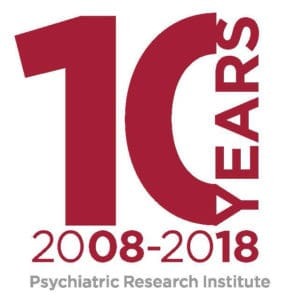 We believe our interdisciplinary approach enables us to develop comprehensive individualized treatment plans for rational (and early) intervention. Most importantly, this approach includes encouraging families/caregivers to “partner” in the collaboration of the assessment and treatment of your child with extensive caregiver involvement including weekly family therapy, weekly parent group, no set visitation times, and the ability to “room in” with your child. Additionally, families/caregivers receive post discharge case management for 30 days by a Psych TLC mental health professional who assists in integrating CDU treatment recommendations with your child’s community based resources. Using a treatment and assessment model of Collaborative Problem Solving, a cognitive behavioral approach, our CDU staff will assist your child with their disruptive behaviors and assist adults in interacting and collaborating with your child to solve problems. This is a philosophy about children, and how we help children. The staff of the CDU aspires to provide you and your family with respectful, nurturing care and rapport which leads to the development of trust and openness. We strive to be teachers, role models, astute observers of behavior, and collaborators with all children and their families. Children are ALL of our future, and we desire to bring hope to that future, making a difference one child at a time and working to be part of a changing system that positively impacts the lives of children and families in Arkansas. Click here to download a copy of the Child Diagnostic Unit’s admission packet. Click here to download a copy of the Child Diagnostic Unit’s Parent Handbook.